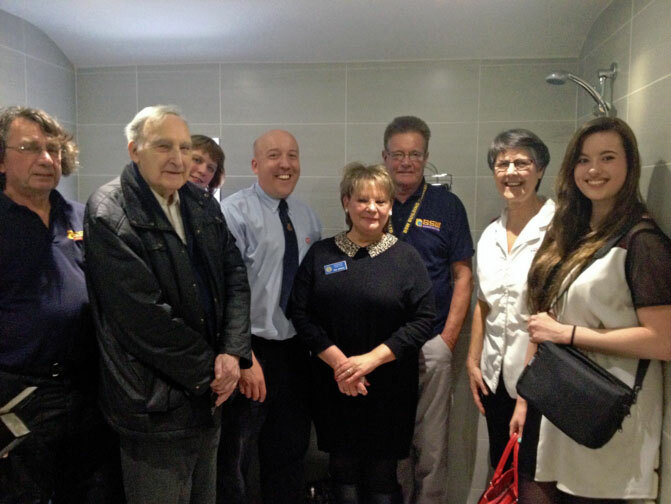 Local trades have donated their time and materials to build a shower and wet room at The Salvation Army on Sturges Road Wokingham for local people in need. The new facility was officially opened on Thursday 26th March 2015. After months of planning and hard labour the final tiles to the new wet room were laid this week. The facility has full disabled access to a toilet, shower and hand basin with floor-to-ceiling tiles, a new window, spot lights and a baby changing unit. Wokingham Salvation Army currently runs community outreach on Mondays, Thursdays and Saturdays for local people in need or experiencing homelessness. The drop-in service includes a meal, social activities, advice and support as well as access to a washing machine and tumble dryer. Church leader Lieutenant Nicola Muir said “We are so excited about how our ministry can develop now we have such a fantastic facility here in our church and community centre. The only washing facility we had was a hand basin, now our service users can have a proper shower. Well done to all those involved, with special thanks to Dave Manners and Ron Davis for their hard work and collaboration.